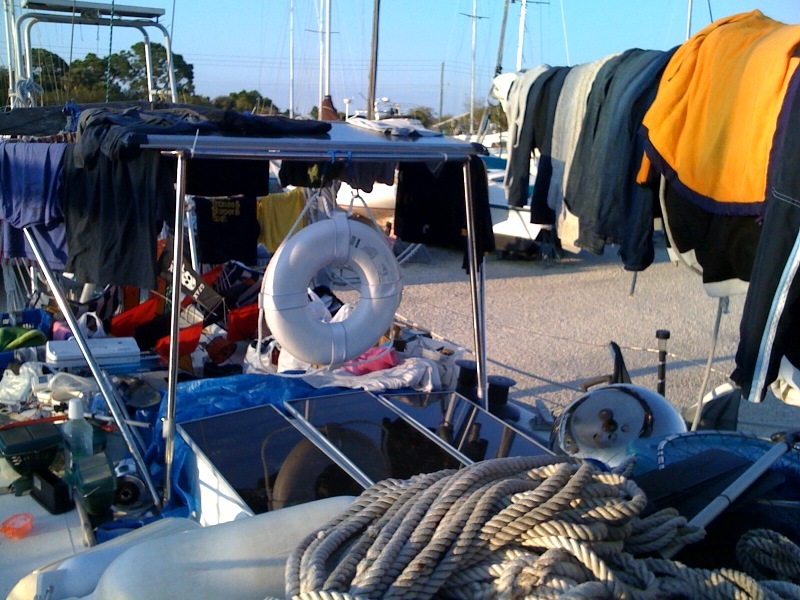 Hauling items on deck for sorting and drying laundry. 6 days until we go in the slings! – stevenjen - Quit our jobs and bought a Westsail 32. Now what? 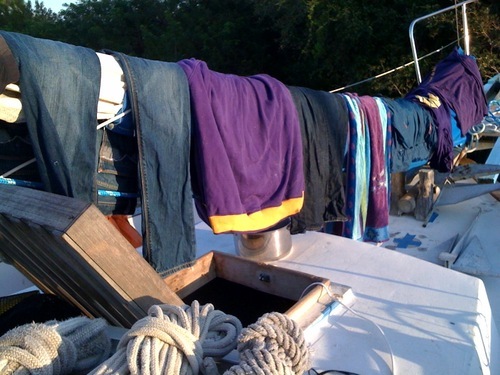 0 Comments on Hauling items on deck for sorting and drying laundry. 6 days until we go in the slings! « Baby Luke is home now. I can’t wait to meet him.